Flaxseed oil is commonly used by men to lower the rate of prostate cancer, but no scientific evidence supports this as of 2015, according to Mayo Clinic. Though there have been studies, the outcome of the effect of flaxseed oil on the prostate is mixed. To determine the effects of flaxseed oil on the prostate, one study looked at men who already were diagnosed with prostate cancer, explains Mayo Clinic. These men were on a low-fat diet and given flaxseed oil. The result was that prostate-specific antigen numbers, an indication of how fast cancer is spreading, were lower. However, a similar study was also done with men on a low-fat diet and enlarged prostate. The outcome indicated the low-fat diet was more effective at promoting good prostate health than the flaxseed oil. There are other studies that have shown no positive or negative effect on the prostate when men take flaxseed oil as a supplement, claims Mayo Clinic. This also indicates that the alpha-linolenic acid contained within flaxseed oil may also have no effect on prostate health. Though it does not seem to hurt a man to take flaxseed oil as a supplement, as of 2015, it is uncertain if flaxseed oil could bring a positive outcome for those wishing to prevent or treat prostate cancer. 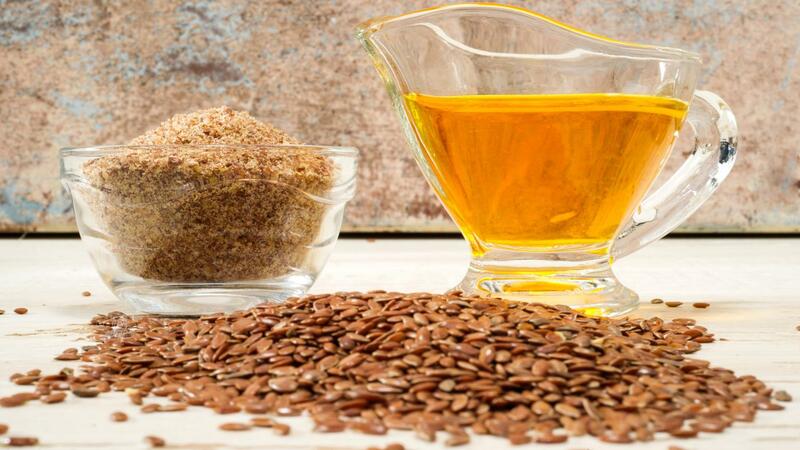 What Are the Benefits of Flaxseed Oil Vs. Fish Oil? Do Doctors Recommend Coconut Oil Pulling?